1. What Causes Greasy Hair? 2. What Makes A Dry Scalp And Greasy Hair Happen At The Same Time? 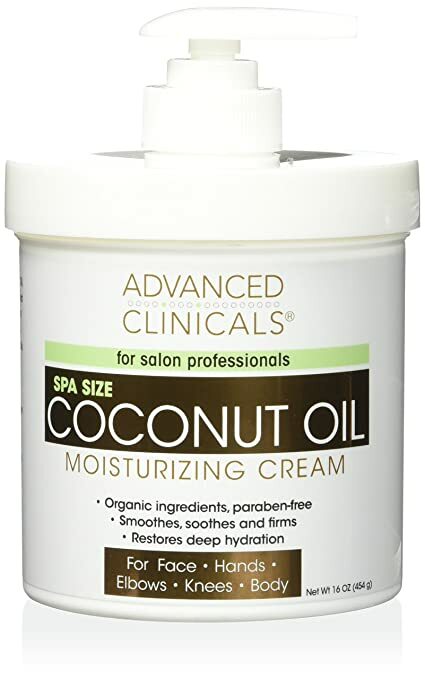 Are you suffering from a dry scalp and greasy hair and feeling hard to moisturize the scalp while still make sure that your hair does not look too oily? You wash your hair carefully every day with best natural shampoos but it stays greasy all the time? Moisturizing your hair can be more complex than doing so in the skin, particularly when you possess lots of hair; however, this way can greatly improve the scalp as well as hair health. Learning how to moisturize scalp without making hair greasy can be challenging, but, with these simple and natural tips, everything becomes easier and helps you save lots of time. Before searching for some handy tips on how to moisturize scalp without making hair greasy, let’s discover the underlying causes of oily hair to help find appropriate treatments. All of our bodies are producing a substance, widely known as a kind of oil, called sebum . This, in fact, is not bad at all. Basically, your body requires this sebum in just small quantity to make the skin and hair look soft and protects them from various harmful elements. However, the problem is as your body gives excessive sebum, this can lead to some unexpected side effects, consisting of an increase in pimples experience, oily skin and of course greasy hair. Genetics: If any member of your family has problems associated excessive oil, you are more likely to experience the same matter. The imbalance in hormones: Hormones play a role in creating sebum, which is why many teenagers are contracting acne. Hormones influx makes sebum to increase that can lead to pimple, greasy hair as well as other consequences . Hence, controlling and pursuing balanced hormones level is a critical part to take over the production of sebum. Lack of cleaning: Ironically, washing the hair too often or not washing it enough can make it become greasy? Dirty scalps can be quickly greasy . The key is to find the proper balance. What Makes A Dry Scalp And Greasy Hair Happen At The Same Time? A dry scalp, along with greasy hair can be individually triggered by many reasons. When you have the two problems simultaneously, it is likely the issue might lie on hair products you are using. Another possible reason is there are lots of hair products which contain artificial ingredients which are capable of stripping your hair. Hence, opting for a product which are suitable for the type of your hair is important. Not so many hair products can work well for your hair. For example, thick conditioners cannot suit thin hair since they weigh down the hair and make it oily. As the hair is too oily, the best way you think you can do is to rinse it more often, which then strips your scalp of natural oils needed. This is why the problem happens. In case you do not take action, this vicious cycle is difficult to be broken. Do not hesitate to speak up your issue. Good treatments for moisturizing the scalp but staying away from oily hair are always available. Following are some best alternative ideas on how to moisturize scalp without making hair greasy. Why aloe vera is mentioned as one of the most powerful tips to help moisturize your scalp without causing oily hair? The reason lies down on its package of a huge amount of vitamins as well as proteins that are necessary for the development of healthy hair. Fresh aloe vera gel is able to retain the moisture in your hair roots. It can condition the hair, fix the damages and nourish the hair from inside. 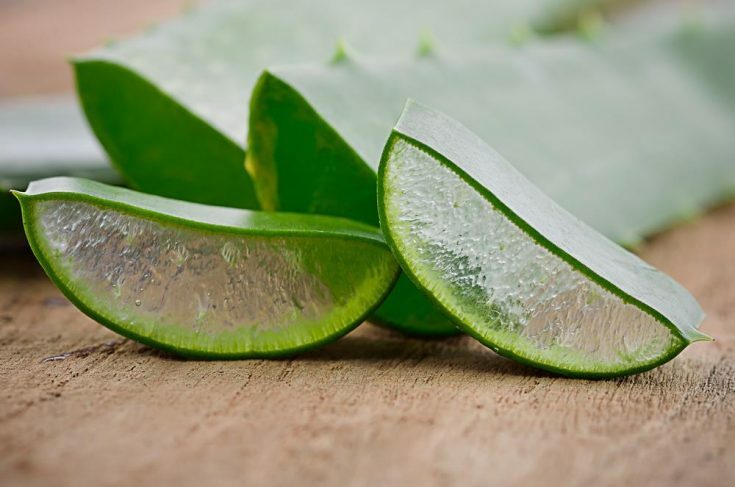 In addition, due to the acetic acid present in aloe vera, it can aid in balancing the pH level on your scalp to manage the secretion of excessive oil and decrease the oil buildup on your hair. Good news is the gel is known as water-soluble; therefore, it leaves you no residue without a shampoo. Milk hair conditioning is of great help on how to moisturize the scalp without making hair greasy. First, it is a boon for those who are suffering from dry hair. Moisturizing contents, good fat and vitamins in milk add bounce and glossiness to your hair. In addition, essential minerals in milk can help control excessive oil on your hair. You can use milk cream which is also used for hair moisture. However, it is good to apply in the nourishing hair masks and packs. This way can help check how to moisturize hair with milk in a smart, quick and easy way. Alright! Here comes the easiest way on how to moisturize scalp without making hair greasy. No mess and no picky preparations. Let’s opt for a moisturizing hair lotion and cream that work well for your hair type and use it properly to nourish it. Both hair lotions and creams can serve well as miracle for hair-oil-hating boys and girls also. Remember to choose any products that are paraben and silicon free . As you see your hair cream is light and not sticky at all, you can keep it for. If you want to have deep nourishment, rub the cream more, message gently and wash it off with clean water. As being mentioned before, if your hair becomes dry and greasy at the same time, it is likely that there is something wrong with your shampoos or conditioners you use per day. If you are looking for another safe and high-quality products with natural ingredients, luckily, you are in the right place. Let’s get it before everybody else by clicking at BEST SHAMPOO FOR DRY SCALP that are highly advised by a large number of wise consumers and health experts. You should take a note that the process of how to moisturize scalp without making hair greasy will be a long battle if you keep using inappropriate shampoos and conditioners. Shampoos that are rich in rosemary, lemon, argan and basil and jojoba oil are wonderful for people whose hair is of need for seriously rescue. As for jojoba oil, opting for a hot oil cure for your hair for once per week is to help alleviate a dry as well as greasy hair. 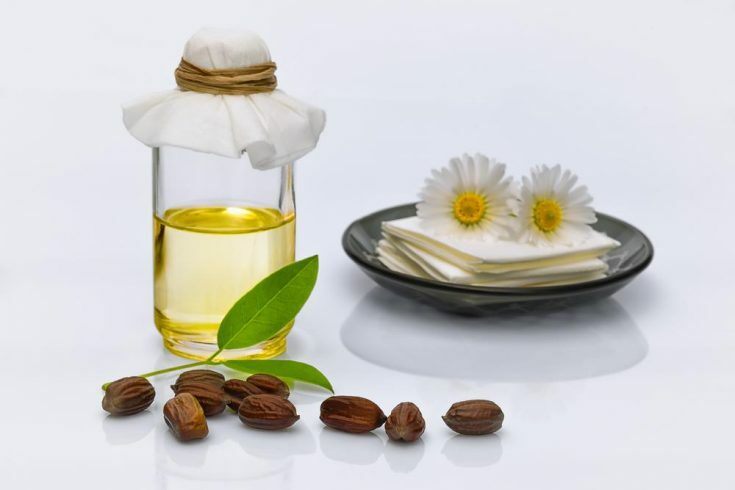 All things you need to do is to grab some jojoba oil at health food stores or pharmacy, then heating up until it gets warm. Before washing hair with natural shampoos, you had better massage warm oil (not hot one as it can damage the scalp) into your scalp. Cover it with a cap and wrap towels surrounding your head so as to keep the heat. Keep it for 15 minutes before washing it off thoroughly. Shampoo again as you are not sure the oil is completely removed. With this treatment, apart from jojoba oil, carrot seed oil, coconut oil, grape seed oil and almond oil are promising remedies for dry and greasy hair. Another option you can give it a try is using a shampoo that is packed with salicylic acid. 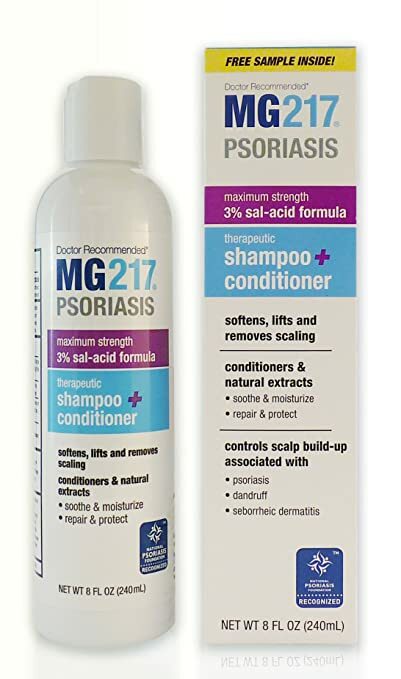 According to some researchers, Shampoo that has MG217 Therapeutic Salicylic Acid is one of the best selling shampoos on how to moisturize scalp without making hair greasy  . The shampoo is advertised to help soften, remove the build-up on your scalp, loosen scales to reduce flaking. The acid present in this shampoo supports another oily scalp treatment. Therefore, if you are preferring a treatment of hot oil, you can use this beforehand to maximize the positive outcome. Only apply conditioner over the ends of the hair until the greasy feeling on your hair has been subsided. Using heavy conditioner on the root can weigh the hair down. When you do not wash it carefully, the roots will certainly look oily after being washed out off. Opt for a shampoo containing tea tree oil. This wonderful oil helps balance the pH level on your scalp, generating a difficult environment so that the bacteria cannot survive. This way makes your scalp stay healthier, which effectively results in less greasy hair. Do not touch or play with your hair regularly. As mentioned earlier, the oil sebum is applied all the body to help keep the skin highly protected and remaining hydrated. You might not know about, but your fingertips can consist of tiny amounts of the oil any time. As you touch and play with the hair, sebum can be transferred to your hair. Try not to use too hot-showers because the scalp can become naturally sensitive. Hot water can damage it severely. Avoid rinsing your hair off every day even you are using natural shampoos. This can be tough, typically when you are wasting time waiting for the treatment to work like a magic. Reducing the frequency of washing it per day makes your follicles and scalp get better and better. Eventually, a home solution can not be ignored on how to moisturize scalp without making hair greasy to re-balance pH level on your scalp. Add about two teaspoons of baking soda to your regular shampoo and rinse it off as normal. Also, you can try to wash your hair off with clean water as well as Apple Cider Vinegar containing restorative properties which are extremely useful for your scalp. How to moisturize scalp without making hair greasy is a most searched question since people having the same problem realize that how uncomfortable it is when dry scalp as well as greasy hair come into their life. Apparently, in case these above-mentioned treatments do not work well for yourself, you should consider seeing doctors. This could be that you are suffering from eczema, seborrheic dermatitis or psoriasis that prevent you from getting recovered properly. Don’t forget to SHARE, LIKE and PIN this article if you find it helpful. We are pleased to hear more tips from you at the comment boxes to help people live in a better life.